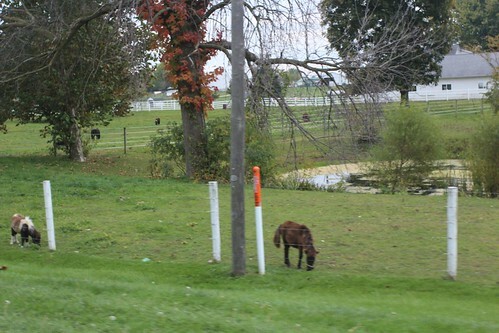 Mali Mish - Day 60: Driving east into Amish and Mennonite country. We had originally planned a route all along Lake Michigan starting from Green Bay, Wisconsin and ending in Ludington, Michigan. Since our plans are never set in stone and we hardly ever make any reservations, we made an audible and decided to head straight east along the northern Indiana border instead of heading into Michigan. As I have mentioned in a previous post, we have been to the Chicago area in the past. The first time I came here was over 15 years ago when I visited my friend who was going to college here in northern Indiana. 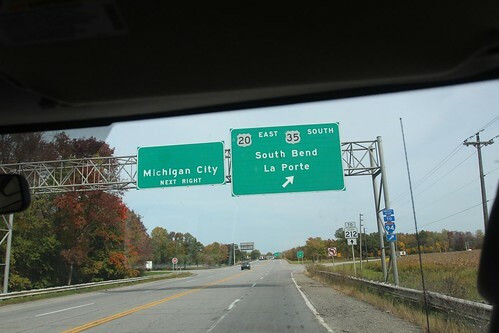 As we headed east, we turned towards South Bend instead of Michigan city. South Bend is the home of Notre Dame University. Of course for all of the college sports fans out there, Notre Dame is known for not just its academics but also its athletics programs. We didn’t stop long except just for a brief photo op at the stadium. We were starving and Luka was asleep so we pushed on. During my visit 15 years ago, my friend Jeremy was attending a small liberal arts school in this part of Indiana called Goshen College. I called him while we were driving through and asked if he would recommend a place to eat. 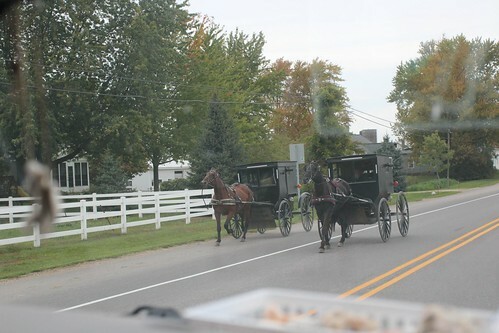 Being that this is Amish and Mennonite country, there are lots of great country-style home cooking here. 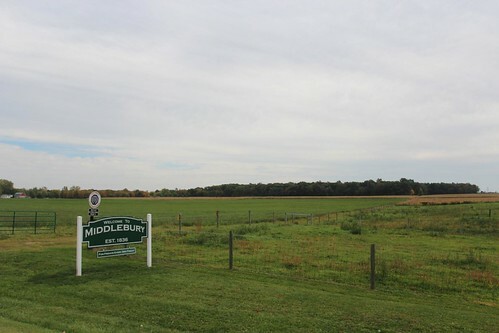 We made it to a little town called Middlebury. It is home to Das Dutchman Essenhaus. The Amish and Mennonites are typically of German and Swedish origin. Many settled in Pennsylvania, hence the name Pennsylvania Dutch, and others continued west into northern Indiana. The Amish are also referred to as the Amish Mennonites. They are a subgroup of the Mennonite religion formed by Jakob Ammann in 1693. Das Dutchman Essenhaus started modestly back in 1970 with the owners, Bob and Sue Miller, buying a former 24-hour truck stop to start their Amish restaurant complete with Amish and Mennonite cooks and wait staff. Many skeptics didn’t think an Amish business would survive here without catering directly to the trucking business and they did not open on Sundays. However their commitment turned an old rest stop into the largest family restaurant in Indiana with 1,100 seats. Needless to say the food is amazing. All of the home-style country eats you would expect and a complete selection of desserts and, of course, pies. 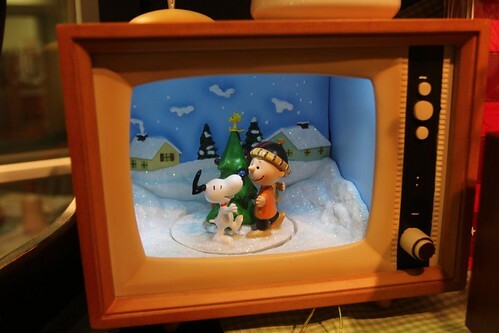 Today, Das Dutchman Essenhaus is not just a restaurant. People come from all around the world to visit this little town of 3,500 people because of this place. 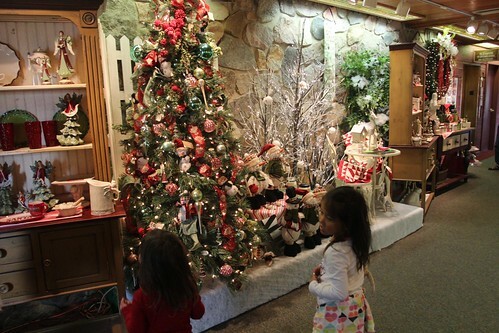 It now features the restaurant, an Inn and Conference center, gift shops, bakery, wholesale foods and even a miniature golf course. After lunch, we headed east towards a little town called Shipshewana. You can definitely tell we are in Amish country now with all of the horse and buggies running along the sides of the freeways. 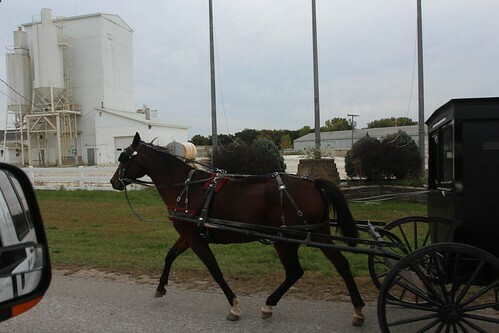 Not all Mennonites practice the traditional way of living as the Amish do. Many of them practice the religion but live modern lives with automobiles, electricity and the whole nine yards. 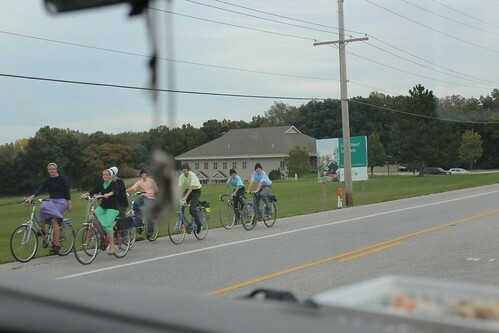 Even the traditional Mennonites allow themselves more modern conveniences than their Amish counterparts. They both dress in the traditional homemade garb but the Mennonites outfits tend to be more colorful. It is interesting to see all of the houses along the highway and take note of what modern conveniences they have. If you look closely, many of them do not have electrical wiring going to it nor do they have heaters and air-conditioning systems attached. And of course the dead giveaway are horses and buggies parked outside of the house. 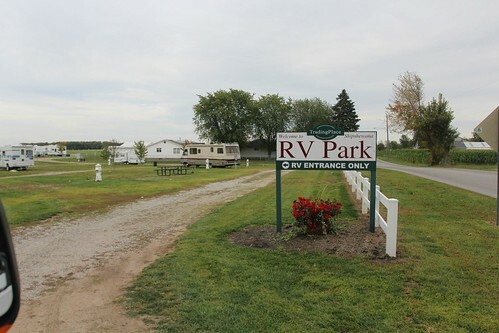 We drove through the city of Elkhart which is one of the major RV producing cities in the world. 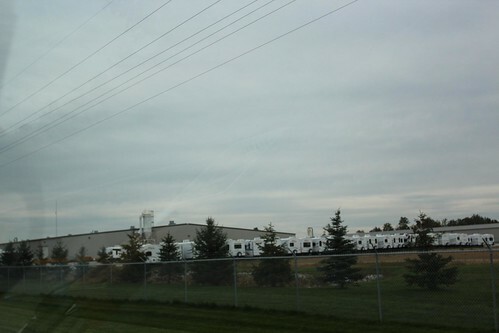 It is home to companies like Dutchman, Jayco, Keystone, Winnebago and countless others. 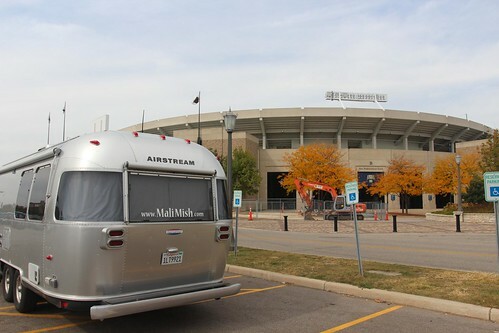 Many of them owned by Airstream’s parent company, Thor Industries. 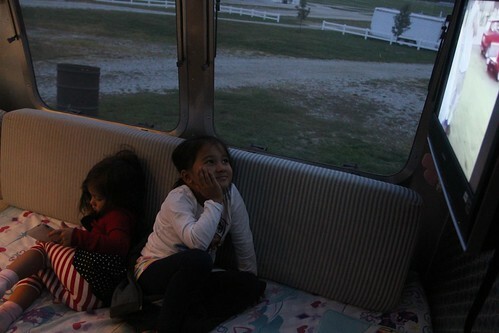 Since the economic downturn, many of the RV manufacturers have either downsized or shutdown altogether. As of 2009, the city of 50,000 residents had an unemployment rate of nearly 19%. When I was here in 1996, I visited much of this part of Indiana not knowing that one day I might return after my friend moved back to California from college. I had remembered that the town of Shipshewana held the largest flea market of the Midwest. The town has grown a lot in popularity and now draws visitors from all over the Midwest during its Tuesday and Wednesday flea market and antique auctions. 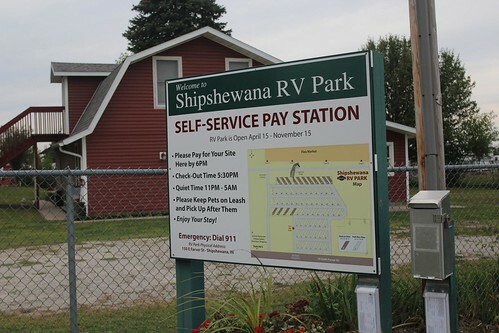 It has also added a self-serve RV Park directly adjacent to the flea market grounds. All 70 sites have full hookups but you can opt out of using the connections for a significant nightly discount. 55 of them are pull through at $33 a night or $18 without hookups. The rest are back-in sites for $27 a night and if you don’t need to be connected, you can stay here for a bargain at $12 a night. 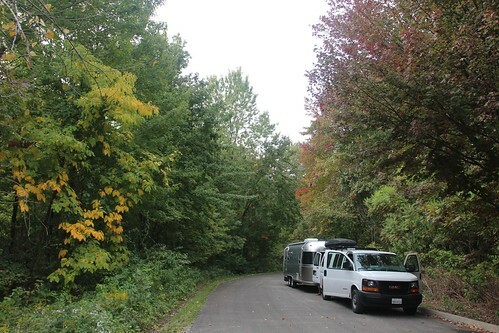 The sites are well maintained and very spacious. Look closely at this sign and note the second bullet point to the left of the map. Check-out time here is 5:30PM!!! That is probably one of the best features of this campground. I am definitely sleeping in tomorrow since we don’t have to leave until before dinner. Choose Invoice Factoring services for continued growth of your company. Day 61: The Shipshewana Flea Market in Indiana. 3 Responses to Day 60: Driving east into Amish and Mennonite country. love the pictures of the wagons! and did you at least see the touchdown jesus while you were at notre dame?? @joe We are heading your way soon. Within the next 10 days for sure. I have heard really great things about the Henry Ford. We will definitely try to go there if we are near Dearborn. @tiffany We didn’t stay in Notre Dame for very long at all. Basically it was just a drive by. 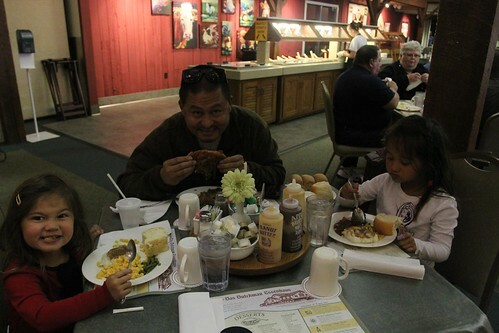 We were excited about the Amish food as we were starving!